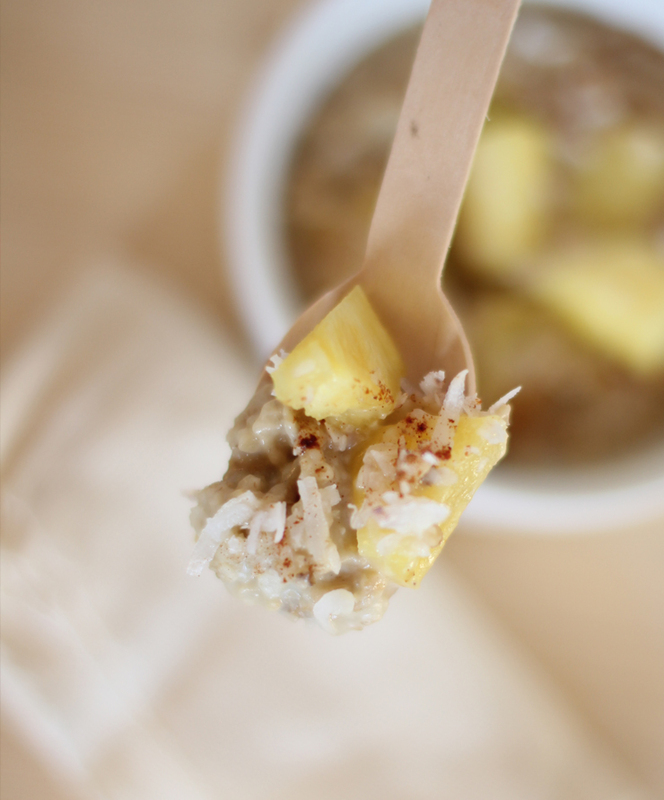 Yogurt and oatmeal are super versatile, you can add a variety of ingredients and the flavor will change completely! That’s why I love them! 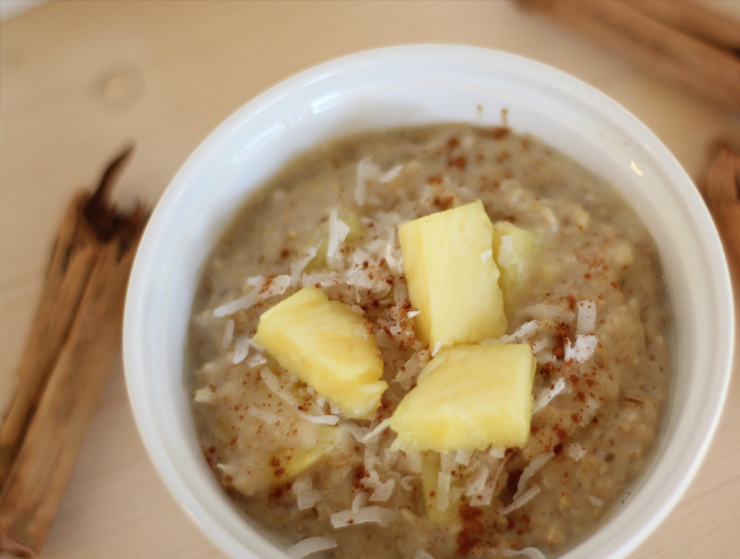 Such simple ingredients like pineapple, coconut and cinnamon will give your regular oatmeal a yummy tropical twist. Bring them to a boil and then reduce the heat to medium low, stirring occasionally until desired consistency.